A project of the Atlantic Council of the US and Royal United Services Institute for Defence and Security Studies, London Co-author with Prof. Michael Clarke, Director General, RUSI; Dr. Jonathan Eyal, Director of International Security Studies, RUSI; Dr. Shen Dingli, Professor of international relations, Fudan University, China; Hassan al Ibrahim, Strategy Consultant, Government of Qatar and Founder, Fikra Consulting and Research; Jeff Lightfoot, Deputy Director, The Brent Scowcroft Center on International Security, Atlantic Council of the US; Dr. Pratap Bhanu Mehta, President, Centre for Policy Research, Observer Research Foundation, New Delhi, India; and Barry Pavel, Director, The Brent Scowcroft Center on International Security, Atlantic Council of the US. A project of the National Security Studies Center, University of Haifa, Israel. 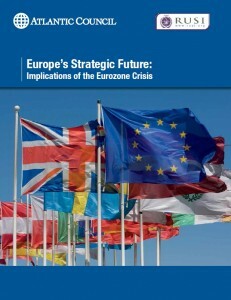 Co-author with Dr. Norman A. Bailey, Lecturer, National Security Studies Center, University of Haifa, Israel and David Brodet, Chairman of the Board, Bank Leumi le-Israel. 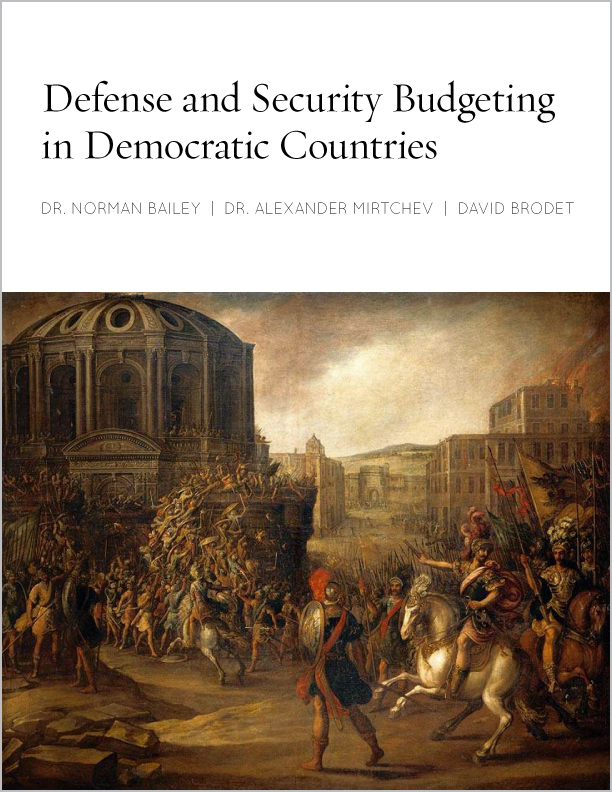 Defense budgeting processes in democratic countries differ not only in size, but in their actual form and rules governing those processes. In some countries they are more strictly bound by rules, while in others they are more decentralized. This study evaluates the potential for misallocation of defense resources, impact on defense effectiveness and overall effect on different countries’ international stance of defense budgetary processes. It considers how the planning functions of budgeting are often modified and reshaped by political considerations, which renders any attempt on the part of the agencies and departments involved to implement policy and process strategies in their particular areas unviable. The analysis makes comparison of three countries – the U.S., the UK and Israel, exploring the specific steps that comprise defense budgeting in each, and drawing conclusions about the contrasts and similarities between them. It determines that in democratic countries, no defense budgeting process remains purely within the realm of national security, but is rather injected with socio-political and socio-economic interests that have repercussions about the appropriate resource allocation to the defense sector. 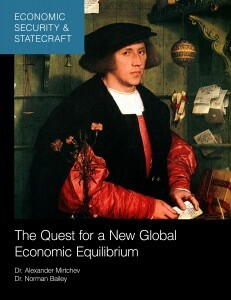 ‘Economic Security & Statecraft: The Quest for a New Global Economic Equilibrium’ explores the multiple interconnected phenomena that aggregate daily occurrences with pervasive trends and could be said to place countries, regions and the world itself at a turning point at the beginning of the 21st century. These phenomena, coupled with the appearance of unanticipated and unforeseen social, political and economic developments, have made both the reasonable accuracy of predictions and the adoption of corresponding policies problematic. This is a study of the new elements of disequilibrium in the global political economy, how these elements mutually influence each other and what the impediments are to achieving equilibrium. 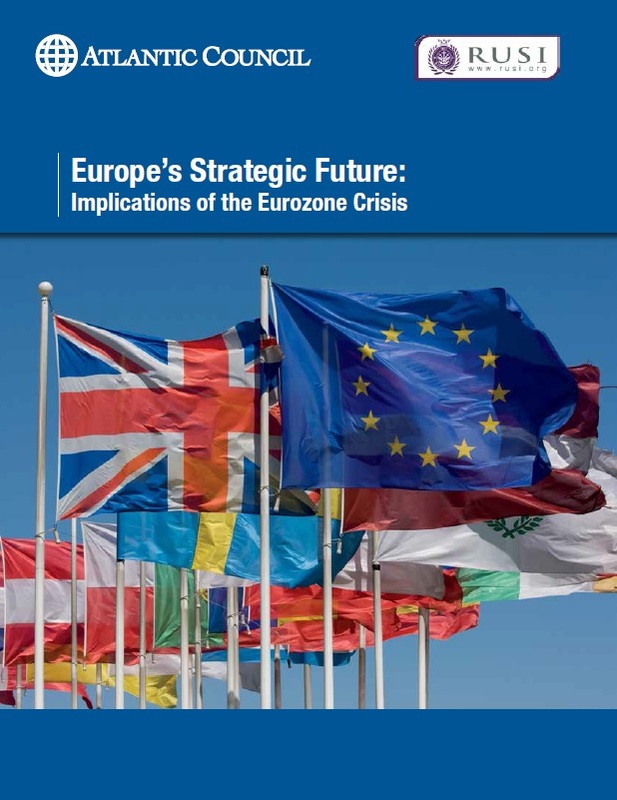 The study analyzes the evolving notion of global economic security and the various factors that endow it with a growing significance for policy-makers worldwide. Through the prism of the divergent influences that impact the world economy today, it sets out specific aspects of policymaking and statecraft that could prove a worthwhile area of focus in what is widely assumed to be a post-Western world. The study considers how the importance of economic statecraft has gradually become equal and, to an extent, supersedes the importance of international relations for state actors, setting the stage for the emergence of geo-economics as a prioritized tool to be wielded by policy-makers.